Over the years, instant messaging has become an invaluable tool for businesses to collaborate and share information quickly and easily, in real time. While IM platforms are increasingly popular for business purposes, they rarely have internal backup capabilities, much less the archiving tools necessary from a compliance standpoint. 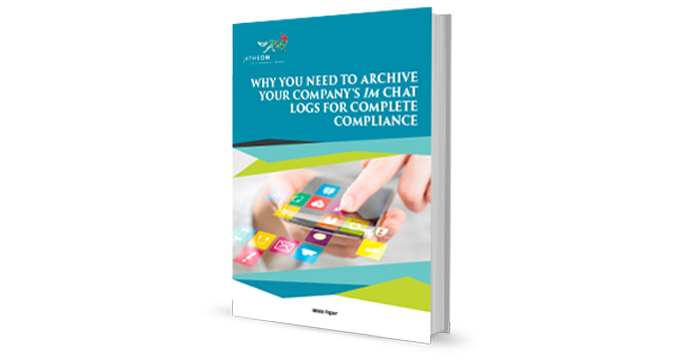 As most businesses and organization today are required to archive their digital communication data under different regulations, it is important to take the compliance standpoint into consideration, particularly because, besides emails, many regulations require the archiving of IM chat logs as well. In this whitepaper, we look at the increasing popularity of instant messaging for businesses and the resulting need to archive IM chat logs among other types of digital communication data. We go over the basics of regulatory compliance and suggest a way for you to ensure your company’s corporate instant messaging is fully compliant.